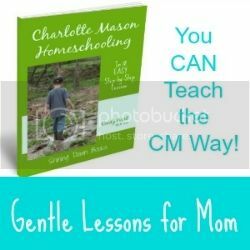 Many homeschool moms who teach co-op classes develop their own curriculum. Me, too, for the most part. However, I’ve found it a little more difficult to design a thorough, engaging curriculum for middle and high school students that doesn’t leave me studying and preparing for hours. As a curriculum reviewer, a lot of great curriculum has come my way that doesn’t quite work within a homeschool environment, but has a very useful place in a classroom full of students. Much of it quite appropriate for older students. To keep a record for myself and hopefully help others, I’ve created a list of some of those really good co-op resources. 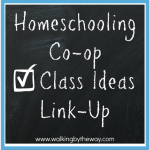 Of course, a lot of curriculum written directly for homeschoolers can work well in class situations, too, but I want to focus on some of the more unusual options in this post about co-op class ideas for older students. Don’t be fooled. Yes, Teaching Economics Using Children’s Literature utilizes some pretty elementary book selections (as well as several chapter books), but the lessons teach some super-serious economics concepts like goods and services, production resources, investment, cost opportunity and SO many more! Not to mention, many of the lesson ideas are very concrete and/or hands-on. I believe the curriculum was likely written for the upper elementary student, but I already have plans to propose using it with middle school students at my co-op next year. Couple this with the free Playdough Economics curriculum and you’ve got quite an in-depth study! Ecopolis is an economics/government resource where each person in the class plays a part in a simulated town. Students get a chance to have jobs, make speeches, elect officials, pay taxes, compete in business and more. It’s very student-directed with the teacher playing the role of a facilitator rather than lecturer. 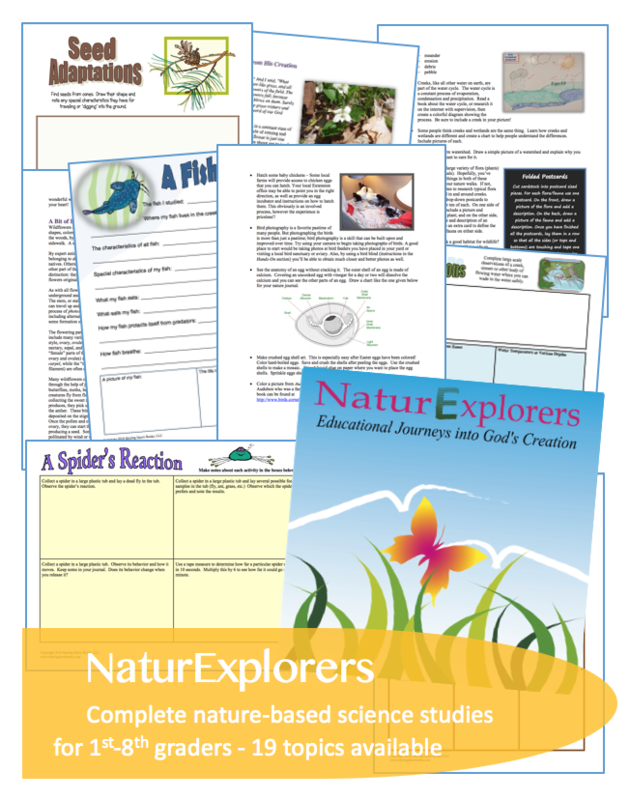 Reproducible handouts, role cards, graphics and a posttest are ready to go for you. Math in the Marketplace is a course for understanding investments, banking and the stock market. Again, the method is a simulation where your class takes on the roles of investors, bankers and stockbrokers and work together to try to make (pretend) money. Plenty of handouts, graphics and teacher talking points are included. Order in the Court allows you to teach the judicial system through participation! After learning about the ins and outs of each person’s role in the courtroom, all the students get to play a part in a mock trial based on the story of The Three Little Pigs. 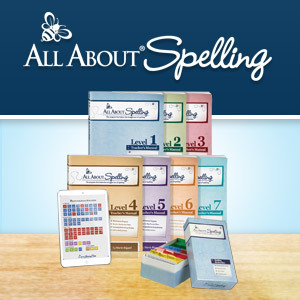 Role-playing cards, forms to write opening/closing statements and examinations/cross-examinations, rubrics to define the expectations of each role, and more are included to make the “proceedings” both easy for the teacher and clear for the students. Fun! What’s Your Opinion? 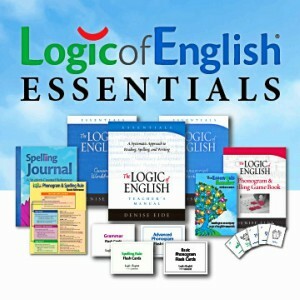 can be used as a speech, debate and/or persuasive writing course. Through various exercises, students learn how to build good arguments on debatable subjects. As with any course that is not overtly Christian in content, there may be some topics you choose to skip over or replace, but the process is very good. Each lesson builds on the next (using various activities and topics) so that, by the end, the student is able to create a thoroughly defended and convincing argument. Mythology is a debatable topic among Christians. In our home, we have introduced our children to mythology for the simple fact that they need to know what other cultures have believed and where some of the current day religions have developed their beliefs. Teaching mythology has actually served to strengthen our Christian beliefs as we’ve discovered points at which ancient people went astray from the One True God. I consider the knowledge of mythology to be ancient apologetics of sorts. In Mythology for Teens, each lesson begins with a little skit for your students to perform. Afterwards, discussions ensue about such things as story elements and themes, morality/immorality of the gods, and character traits. 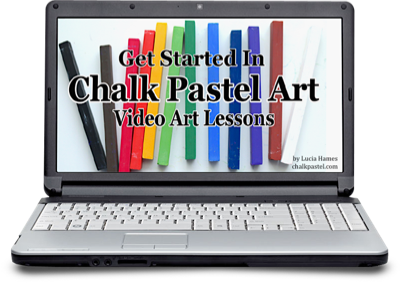 Ideas for activities include drawing, writing, comparing and contrasting, and researching. In some instances, students are asked to compare a myth to the Bible, and a good teacher will find opportunities around every corner to bring more Biblical discussions into the class. Greek Mythology for Teens is also available. Have you ever wanted to teach a course on Shakespeare, but haven’t a clue where to start? Julius Caesar is one of several Advanced Placement courses on Shakespeare that Prufrock Press has available. Through performances, debates, hands-on activities, writing, speeches, art and more, your students will dive deep into understanding (and maybe even enjoying) Shakespeare. Plenty of handouts and lengthier projects are provided for homework assignments, too, if you wish. 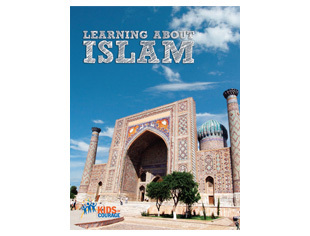 Learning About Islam is one of the most complete, “kid-friendly”, easy to read books about Islam as it pertains to Christianity that I’ve read. 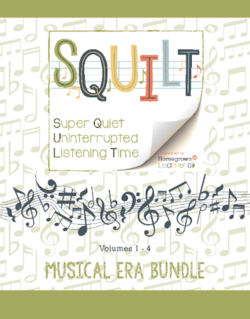 It’s a super-easy read, meaning you will want to purchase one per child in your class so they can have it as reference. For you, there is not a “curriculum” to follow, per say, although several ideas for activities are sprinkled throughout the book. You will likely have to be slightly creative if you want to do more than read and discuss during your class. However, there are so many concepts, definitions, Bible tie-ins, prayer points, and charts that you will have loads of “real” talking points and can easily create quizzes or tests from the material if you choose. In the end, your students will have a thorough understanding of the history of Islam, the culture of Muslims today, current missionary work, talking points when witnessing to Muslims and so much more. I’d love to hear about treasured curriculum you’ve used with middle and high school co-op classes! Thanks for these ideas. We are just starting to look at classes for our co-op for next year! We love Oak Meadow, which has outstanding literature, with a focus on literary analysis, and is similar to Charlotte Mason in some ways. Great post! 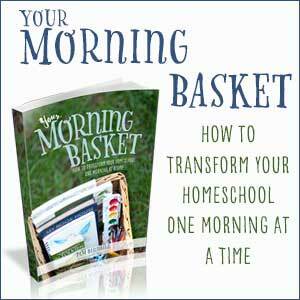 Hi Cindy, it’s Jackie stopping by from the February Let’s Homeschool High School Blog Hop. You have offered some great ideas for older kids. I agree that there are lots of curriculum that is created for a classroom rather than a student in the home environment. I’ve found that even in those situations, you can usually revamp it a little still use it in the home with one or two kids, but then, as you stated earlier, it increases the hours we have to put in to get where we want it. Phew! 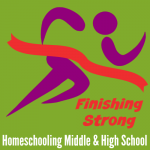 We have a curriculum directory at Let’s Homeschool High School and I know there are sometimes listings that would work great for a co-op. Right now, the directory is being updated and overhauled, so who knows what will be added that might work in a co-op setting. Thanks for sharing all the great links. High School Co-op class ideas and plans always seem to be more difficult to find. I’ve created several over the years, maybe I should compile them. Visiting your blog from Let’s Homeschool High School Blog Hop! Wonderful suggestions! We attend a co-op now that has only history, math, and science for high school, the rest are “enrichment” courses like music lessons. I think you have offered some outstanding suggestions, good for a single student or a whole class. Thanks so much! 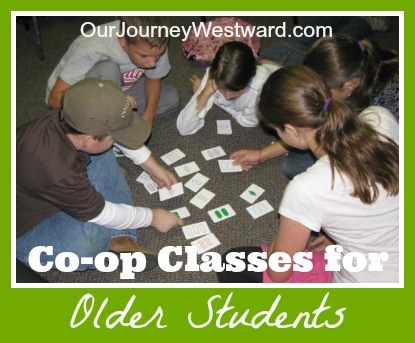 Great ideas for co-ops for older kids. Another topic I suggest for teens is personal finance. Way too many people grow up with absolutely no idea how to manage money. This co-op class can include everything from understanding credit to learning to make a grocery budget. There are various programs online where students can learn about the stock market by managing a simulated stock portfolio. Those look like good resources for co-ops. Thanks for putting those together. Our co-op is using the IEW speech boot camp as a high school class this semester. Just getting started, but it’s good so far! Love IEW in the co-op setting! Thanks for sharing and have a great year! Where can you get the book about Islam? I clicked on the link but did not take me anywhere? RJ, I updated the link. Thanks for letting me know! I am going to teach Ecopolis in the fall and just received the book. What is the ideal class size for this? I want to make sure we have enough students and not too many. Thanks for this idea! Our co-op class had 10-12 students and it went very smoothly. I’m sure you could add more students to the class and it would be fine. Have fun!